Ayurveda has the peculiarity of being the “ancient medical system, evolved around 5000 years ago in Asian region and the most extensive spiritual experience in the world”. Ayurveda is established on the principle of retaining a balance between the interconnected relationships in the bounds of the body and mind. It facilitates the patient to comprehend the nature of their body and mind and to live in cordial relationship with nature. Ayurvedic is known as enduring & nontoxic cure for many ailing diseases like memory loss, Cancer, Alopecia, osteoporosis, blood pressure, diabetic wounds, etc. for which no reliable treatment is developed in modern therapy. Although Ayurveda has a strong literature and has shown miracle in number of cases, surprisingly the market acceptance is low & the global medical market share is as low as 0.5%. But as the unusual cases of body diseases are looming and the allopathic therapies has not given any positive cure so far. 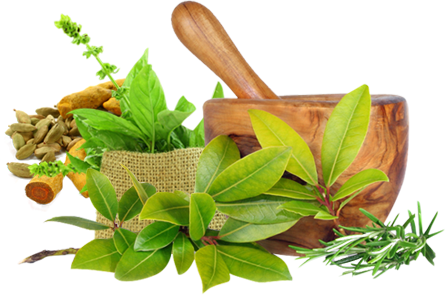 Ayurvedic literature has given treatments ahead of time and cured numerous patients. With the aim of promoting Ayurveda in India, Qmed-Biotech a franchise of Ayurvedic products should be available in the market. Ayurvedic formulations need to be consistent & standardized established through set principle or major compound(s). We hold future in our hand, that can bring transformation in the medical history by curing some of the emerging diseases. And India has the widest scope of achieving global leadership by promoting oldest medical formulations all the way through export of Ayurvedic medicinal procedures or by franchising out the Ayurvedic system. Stated by Caraka -“The Science of life shall never attain finality. Therefore humility and relentless industry should characterize your endeavor and your approach to knowledge. The entire world consists of teachers for the wise and enemies for the fools. Therefore, knowledge, conducive to health, longevity, fame and excellence, coming from even an unknown source, should be received, assimilated and utilized with earnestness”. We are offering opportunities to specialists or smaller businesses with prior experience, to venture out in Ayurvedic through franchise system shall serve the common cause. Wonderful items from you, man. I have remember your stuff previous to and you’re simply too magnificent. the way in which in which you assert it. You are making it entertaining and you continue to care for to stay it sensible.